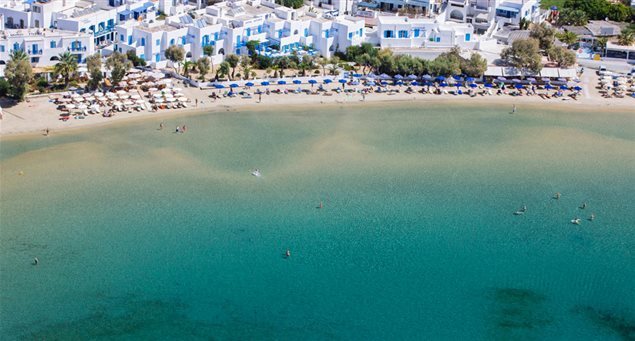 Awarded with the "blue flag" and just a few minuter from Chora of Naxos, the beach of Agios Georgios of Naxos is the best choice for those who do not want to leave the city. 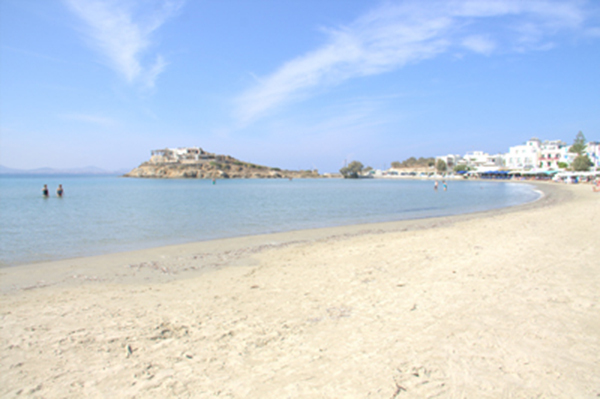 The Agios Georgios beach of Naxos is well organized and has beach umbrellas and sun loungers all around the hotels, taverns and cafes, while there is a sports center with modern equipment for all water sports. The southern edge of Agios Georgios beach, where Naxos Camping is located, is overwhelmed by a surfer as it is considered to be one of the top beaches of Naxos for surfing. The fine sand and its shallow shallow waters make it a very attractive destination for families with young children, while the various shops around can cover any need. Attractive for Fans of the sea sports and especially the windsurf, families with young children, young people. Accessibility for people with disabilities Accessibility for disabled people is available. 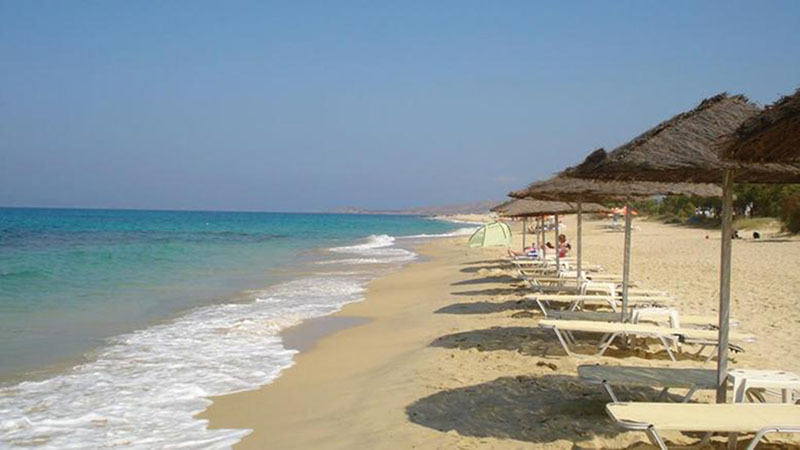 Indeed, the British newspaper Guardian on a list of the best beaches in Europe for family holidays placed Aghios Georgios beach in Naxos 1st Place.